Is this the end of the Caucasus Emirate? After several North Caucasus commanders transferred their allegiance to Islamic State, an ISIS spokesman announced the creation of a 'Caucasus Province'. Is this the end of the Caucasus Emirate? On 23 June, ISIS spokesman Abu Muhammad al-Adnani announced the creation of 'Wilayat Qawqaz', or Caucasus Province, in an audio statement via social media. This development shouldn't come as a huge surprise: since autumn last year, several commanders from Chechnya and Dagestan have pledged allegiance to ISIS publicly. And in recent weeks, there have been signs that ISIS was preparing something: in May, the militant group’s main media organisation al-Hayat launched Istok, a Russian-language magazine. While the Emirate had tried (unsuccessfully) to be recognised by Al Qaida for years, the rise of ISIS has exposed the cracks in a fragile organisation. What does this mean for an already weakened Caucasus Emirate? Created in 2007, the Caucasus Emirate, brainchild of Doku Umarov (Chechnya’s top military and terrorist commander), was designed to lend the North Caucasus' fight against Russian colonial rule a religious, rather than nationalist, dimension. After two exhausting wars in Chechnya (1994-1996 and 1999-2009), in the mid-2000s, the insurgency decided to recruit its combatants from throughout the whole Caucasus, and, as such, required an ideology which could bring otherwise potentially hostile partners together. For ISIS, then, the newly-transferred allegiance of the Caucasus commanders is something of a coup. As Jean-Pierre Filiu, professor of Middle East Studies at Sciences Po, suggests: ‘it is a very significant development in the regional and jihadi scene. It’s not a game-changer, but it confirms that ISIS is able to gather a very diverse array of jihadi networks around its Middle East “caliphate of terror”. After all, these announcements imply that Islamic State views the Caucasus group as a powerful organisation: ISIS doesn’t recognise every group that pledges allegiance. ISIS sets strict conditions, including numerous and well-trained fighters, and a unified leadership which has subsumed other organisations in its region. The Caucasus commanders’ pledge was certainly helped by their reputation: among the ranks of ISIS militants, they are considered tough fighters. 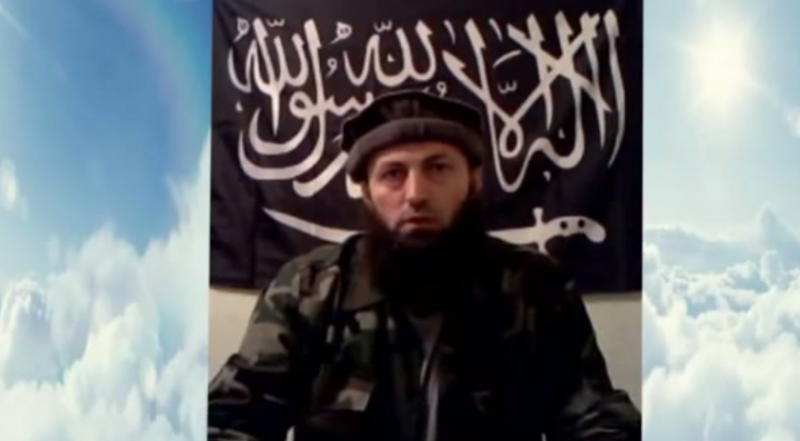 Russian authorities speak of some 2,000 citizens, especially Chechens, who have joined ISIS. (That said, a small number of Caucasians are fighting in Syria with Al Qaida-affiliated militant groups, such as al-Nusra, against ISIS.) There are also Caucasus militants in the ISIS leadership, such as Omar Shishani. A Kist from Georgia’s Pankisi Gorge, Shishani is one of Abu Bakr al-Baghdadi’s lieutenants and commands Islamic State's northern front. The Caucasus commanders were certainly helped by their reputation for being tough fighters. In fact, the vilayat of Nogai Steppe (near Stavropol) and Cherkess (Karachay-Cherkessia), constituent parts of the Emirate, didn’t make their position public. Indeed, some Caucasus leaders have refused to join ISIS, such as Abu Usman Gimrinsky (Magomed Suleimanov), who frequently calls al-Baghdadi an ‘impostor’. Formerly the Emirate’s qadi, or judge, as well as the Dagestan commander, Gimrinsky is believed to head the Emirate. ‘For the moment, we can’t say for sure that this is the end of the Caucasus Emirate. But it seems that it has little chance of surviving the transfer of allegiance to Islamic State. 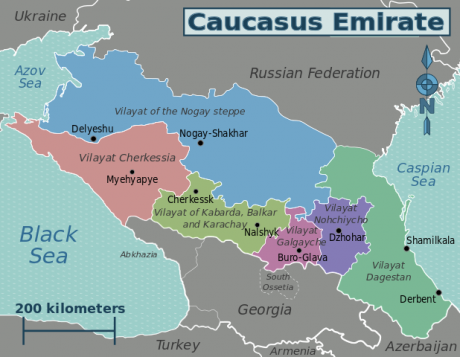 The remaining members of the Emirate will have to make a choice, and it is unlikely that they will choose an isolated existence’, says Mairbek Vatchagayev, a Chechen historian and specialist of the Caucasus. In recent years, the Caucasus Emirate has become steadily weaker. The Russian authorities have managed to hit the jamaats (religious organisations) in Ingushetia and in Kabardino-Balkaria hard, killing commanders one after another. These last years, the Caucasus Emirate has become weaker and weaker. Umarov was killed in September 2013, probably poisoned by the Russian secret services. The name of his successor, Aliaskhab Kebekov, was only announced six months later, as it was not only extremely difficult for the insurgency to find someone to agree to become Emir of the Islamic state of the Caucasus Emirate, but also simply for the fact that the leadership took time to gather somewhere in order to choose him. Russian special forces killed Kebekov a year later, in April 2014. The fierceness of the fight against Moscow meant that the Caucasus Emirate experienced extreme difficulties in its logistics, communications, and finance. This situation created some clashes inside the leadership. ‘The Emirate was more and more isolated’, observes Vatchagayev, ‘it had big problems with finances and, in general, getting support from the Middle East. That’s what pushed the Emirate towards global jihadism.’ For example, Islam Abu Ibragim (a.k.a. Islam Muradov), the commander of the Khasavyurt jamaat, was asked a few weeks ago by the Dagestani Muslims to pay zakat (Muslim tax) exclusively to ISIS. Ambition also plays a part: for Caucasian boeviki (warriors), joining ISIS is a way to get support and resources (arms, finances, fighters). Moreover, and as everywhere, ‘ISIS is very effective in spreading its ideological messages’, says Sokirianskaya. In the Russian press, experts on the North Caucasus usually stress the unpopularity of ISIS in the North Caucasus, but this is not true among the youth. Youth unemployment is high in the whole region, and this is one of the reasons that make ISIS popular for the 20 – 30 age group. Some experts are thinking that a kind of generational conflict is splitting the insurgency: the eldest remaining more loyal to the Caucasus Emirate, while the youngest are more in favour of joining ISIS and its brand of radical and decidedly transnational salafi Islam. Sheikh Abu Mohammad al-Qadari (a.k.a. Rustam Asilderov) was appointed by Abu Bakr al-Baghdadi as head of the newly established Caucasus Province. Born in 1981 in Dagestan, Asilderov has seen Dagestan become increasingly violent since the end of the Second Chechen War in 2009. In 2014, for example, 200 of the 340 victims of the insurgency were killed in Dagestan. That helps to explain why Umarov, a Chechen, was replaced by Kebekov, a Dagestani. Rustam Asilderov joined the ‘forest’ about ten years ago. Asilderov was arrested briefly in 2007, but was exonerated by Dagestan’s Supreme Court. Since then, Asilderov has been reportedly involved in several killings. And in 2012, Asilderov was appointed by Doku Umarov as commander and wali (guardian) of Dagestan. But Asilderov quit last December, after pledging allegiance to ISIS. 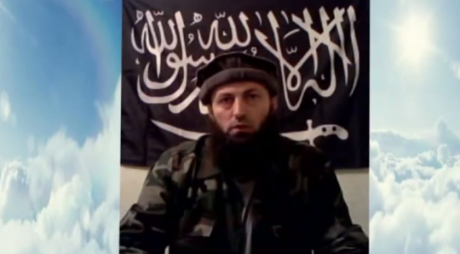 In a video, he declared that he would have sworn bayat (allegiance) sooner, but he was trying to bring Kebekov, the Emir of the Islamic State of the Caucasus Emirate, with him. Asilderov said that it was only when he at last understood that Kebekov would not cross the Rubicon, that he decided to break off on his own. The transfer of allegiance by the North Caucasus commanders, and the acceptance by the ISIS leadership, is very bad news for Moscow. In the last five years, Russia has managed to reduce the number of victims of the insurgency in the region (525 in 2014, including 340 killed) threefold. The coming months will show if the insurgency decides to revive what had been daily attacks and if it will use the same barbaric methods favoured by Islamic State. Meanwhile, Moscow is concerned about militants fighting in Syria and Iraq returning home to the Russian Federation. These hundreds of battle-hardened men will bring with them an experience of war, contacts with the global jihadist movement, money, and, most dangerous of all, a terrible ideology in their heads.